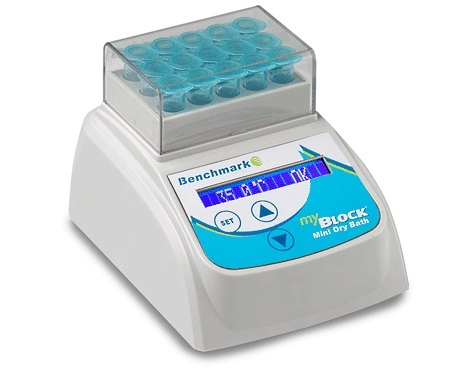 With its compact construction, broad temperature range, and multiple block options, the myBlock Mini is the perfect tool for laboratory incubations. The simple touch pad controls and a digital display provide for "set and walk away" temperature selection and unrivaled accuracy. While perfect for the bench, the optional 12V adapter expands the utility of the myBlock Mini to field use. At less than 4.3 inches wide, the myBlock Mini is truly the first personal block incubator. 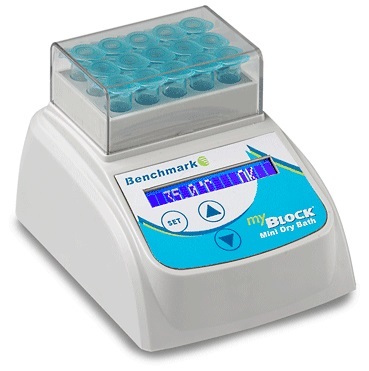 The MyBlock™ HL is the first and only mini dry bath featuring a heated lid for protecting samples against unwanted condensation and evaporation. 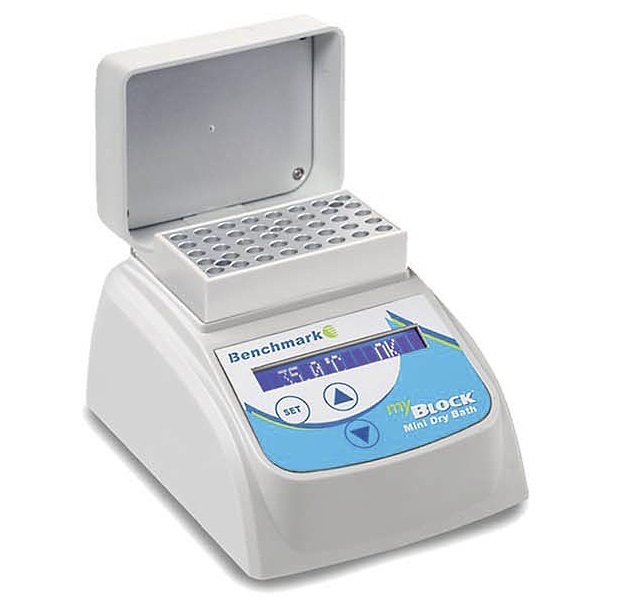 Both the block and lid temperature can be selected independently in increments of 0.1°C, making this MyBlock the ideal choice for the most temperature sensitive applications, including immunoassays, LAMP assays, enzyme reactions & other temperature hyper-sensitive procedures.